This is a discussion on Royal Rebuild [OOTP 19] within the Baseball Dynasties forums. I've put a lot of work into it, but I've decided to scrap my previous Royals dynasty in favor of switching over to OOTP 19, and will be going with a "less is more" philosophy to updates. Normally, I post game-by-game recaps, usually with my own detailed writing as well, but I'm finding it cumbersome to keep up lately, and was spending more time creating updates over actually playing the game. Instead, I'll be posting series-by-series with a quick, one-graf recap of each game with the date, time, score, winner, loser, and save (if applicable), and an MLB scoreboard for each game day. The idea is to get through several seasons, and going series-by-series instead of game-by-game speeds that along. In addition, major around-the-league headlines will be posted along with the scores (trades, injuries, etc.). Other information, such as league leaders, minor leagues, standings, transactions, and team stats will be provided in screenshot(s) upon request instead of in the link format as before. I'm also open to ideas from readers on what they would like to see. 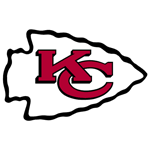 I will be rolling with Kansas City again (it's hard not to go with the home team). They're fun to go with again since they have another rebuild lurking, and to me it's much more satisfying to play with a team that is in a rebuild than a ready-made team. The backstory for this iteration is that Dayton Moore has been promoted to team president, as David Glass has relegated the Royals CEO role to his son, Dan, effectively taking him out of the president role. Moore will serve as a 'mentor' of sorts for the new GM, 34-year-old Travis Greenleaf. Greenleaf headed up the organization's analytics department the past several season, and has playing experience in the minor leagues and in the American Association with the local team, the Kansas City T-Bones. Greenleaf has a five-year contract, as ownership has envisioned a five-year window to get back to the postseason. Other goals for the new general manager include a .500 or better record this season (which appears to be incongruent with the rebuild), an upgrade at second base, and sign Mike Moustakas to an extension before 2020 (unlikely to happen). All games will be played by me in pitch-by-pitch fashion, as I get a better idea of what I have on the roster that way. I typically let the manager handle the pitching, defense, baserunning, and offensive strategies, while I would handle pitching changes and substitutions, but I might handle baserunning if the CPU manager makes a disproportionate amount of baserunning gaffes, even with the aggressiveness turned down as much as possible. Trading frequency will be pretty low until about mid-June, when trading activity and discussion starts to take place. Minor league roster moves are also manually completed, and any major call-ups and acquisitions will be detailed in the thread. Season previews and the first series to come in the next day or so. I'm going to try and find/create a banner for the header in the meantime. That's all I have. Hope you enjoy! lek, Knickerbocker91, johnstone1987 and 1 others like this. Last edited by artoodeetoo; 06-27-2018 at 12:21 PM. Looking over the position player roster, this is much more of a station-to-station team than in years past. Merrifield, Almonte, and Orlando are the only speed threats on the roster, and the latter two are likely part-timers. There are some serious power brokers in the middle of the lineup, but the combination of Duda, Soler, and Moustakas are going to pile up the strikeouts. Cam Gallagher won't likely hit at the level that Salvador Perez does, but he'll hold his own defensively, and this will be a great opportunity to cement a role on this team going forward. The team will miss Sal's leadership, however, in these crucial first several weeks. To me, the rotation is ripe for an upgrade. However, I am excited about the future of the rotation outside of Hammel and Kennedy. Jesse Hahn also comes back prior to the All-Star Break. I don't expect us to be in contention this year, so if I can get returns for Hammel and/or Kennedy, I won't hesitate to do so closer to the deadline, but Kennedy's terrible contract may be difficult to move. For the right price, I would consider moving Duffy, but he's well-liked in the city, so I'm not sure that wouldn't be met with some backlash from the fanbase. In the bullpen -- Herrera should make a fine closer again, but who's going to get the lead TO him? There's just a lot of unproven-ness, outside of Justin Grimm. Maurer had a rough season after we traded for him, so I'm hoping that he bounces back and becomes a good eighth-inning option. We have a guy in Omaha named Richard Lovelady, a southpaw, who can touch the mid to high-90's with his fastball and has a pretty good changeup. He might be our closer of the future, if not a great set-up option if Hill and/or Flynn don't work out. Nate Karns is going to begin the season on a rehab assigment to Omaha; I'm hopeful he can be a contributor after missing most of last season. Last edited by artoodeetoo; 06-27-2018 at 12:20 PM. Frankly, Dayton left me quite a mess, but back-to-back World Series appearances and a title were worth it, if you ask me. That said, our staff has some real work to do to fix the minor leagues. I've read some publications that have us as having the worst minor league system in baseball. I wasn't around for the Hosmer/Moustakas/Duffy days when the farm system was the envy of baseball, but I'd like to see us get back to that point. 1. Khalil Lee, OF (Wilmington): Lee possesses solid raw power, and has a great arm and foot speed, but has slower than desired bat speed, leading to lots of strikeouts. Wouldn't be the top prospect for a lot of teams, but would be in the five to ten range for most clubs. 2. Trevor Oaks, RHP (Omaha): I was one of the biggest advocates to trade for Trevor. He won't overpower with velocity, but can move pitches on command with solid control. May not have a lot of room to grow, but at twenty-five he's the most big-league ready pitcher in the system. 3. Nick Pratto, 1B (Lexington): Pratto has future .300 hitter written all over him. Incredible wrists, bat speed, and plate discipline. That said, his defense is raw and he's not yet filled out, limiting his power potential at this point. Baseball America seems to disagree with me, but dedication in the weight room from him will likely be the difference between star and JAG. 4. Nicky Lopez, SS/2B (NW Arkansas): There are some questions about where he's going to play defensively. He's a shortstop by trade, but he's looked pretty good in limited time at second base, based on film. His arm seems to fit better at second, and his range is plus-plus for the position. His tenacity in his at-bats is also admirable, too. The kid just doesn't strike out very often. 5. Emmanuel Rivera, 3B (Wilmington): Impressed at Single-A Lexington last year with a .310/.364/.468 line, earning him a promotion to Wilmington for 2018. Brought up as a shortstop initially, but outgrew the position, and has the arm and range for a steady 3B. 6. Tylor Fischer, RHP (Burlington): The first B-Royal shows up on this list, with the reed-thin (6'3", 165-lb.) Fischer. Drafted in the 28th round last year, he missed all of last season with a knee injury. He's returned with a vengeance; enough to show up in the number-six spot. His frame has room to grow, and already throws in the low 90's with three solid, MLB-future pitches. 7. Michael Gigilotti, OF (Lexington): Burst onto the scene with a .320/.420/.456 line in 291 PA between Burlington and Lexington last year. He'll start in Lexington, but I think we'll try to take things a little slower with him now. Arguably the best pure CF in the system; doesn't have a great arm or raw power, but runs like a deer and doesn't give away AB's. 8. Seuly Matias, OF (Burlington): This may be the kid I'm most excited about. Big, strong kid with tons of room to grow. Bit of a loopy swing, but has enough strength to make pitchers pay for mistakes in the middle-third. The best part may be that he can play any outfield position, but RF with his bazooka arm (70 out of 80) and range is his best bet. Just 19, has the chance to progress quickly with a hot start. 9. Eric Skoglund, LHP (Kansas City): His Twitter handle says it all (@LBstheZone). Lanky lefty that possesses otherworldly command, but a lack of velocity means he'll be dealing with traffic on the basepaths an awful lot. Hopefully, pitching in a spacious ball park keeps his HRA numbers down. 10. Scott Blewett, RHP (Wilmington): A bit raw, but has a good frame that can add weight. Fastball is a little too straight, but his secondary pitches are commanded well. His curveball is a 12-6 pitch that rarely goes 60 feet 6; still somehow gets outs. The Royals received a grand slam from Alex Gordon in the third to put the Royals up 6-0 at the time, but the Pale Hose fought back with three runs in the sixth thanks to a bases-loaded Yolmer Sanchez triple, and one more in the top of the eighth to pull within shouting distance, 6-4. However, two more in the bottom of the eighth put Kansas City back up four. Danny Duffy wasn't completely sharp, but he still managed to pick up the victory by going 5 2/3 innings, allowing three runs with five strikeouts. Eight of the nine starters collected at least one hit, and four other Royal starters notched one RBI apiece. Six strong innings from Jason Hammel, and a three-run homerun from Alcides Escobar proved to be the decisive hit as the Royals took a narrow 5-4 victory. Hammel fanned five while allowing seven hits and four runs. Kelvin Herrera picked up the save with a scoreless ninth inning. Chicago took a 1-0 lead on a Matt Davidson homerun in the third, but the Royals scored two in the fourth and three in the fifth to build a comfortable lead heading into the middle innings. Abraham Almonte went 2-for-3 with a double, single, and a walk in his Royals debut. Whit Merrifield, Cam Gallagher, and Jon Jay each had a pair of hits as well. Mike Moustakas hit his first homerun of the season, and Ian Kennedy hurled seven innings of one-run ball as the Royals swept the White Sox out of Kansas City in an 8-2 victory. Jon Jay singled twice and doubled, and Lucas Duda drove in three runs while going 2-for-5. Yoan Moncada hit the White Sox' first homerun of the season, a two-run shot off Kennedy in the eighth. With four innings pitched, the White Sox didn't see a single starter get past the fifth inning in any of the three games. Kansas City embarks on their first road trip of the season with a three-game series at Detroit beginning tomorrow night. Last edited by artoodeetoo; 06-27-2018 at 06:35 PM. Continuing their hot start to the season, the Royals' bats came alive for eleven runs as they out-slugged Detroit 11-7. Both Mike Moustakas and Alcides Escobar continued to flex their muscles, each hitting a homerun to aid the cause, their second homeruns of the season. Jake Junis went six innings for the Royals, fanning six and walking three while scattering three hits. The Royals led 7-0 after seven innings, but the Tigers' bats scorched in the eighth and ninth innings, as they scored a pair on a Jeimer Candelario homerun, and then added five more in the ninth off Wily Peralta and Justin Grimm, but Grimm was finally able to get the final out to hand the Royals the victory. It's a mystery what's gotten into Alcides Escobar, but the light-hitting shortstop knocked two more homeruns in the Royals' 6-2 victory to move to 5-0 on the season. Abraham Almonte also added to his gaudy early-season numbers, going 1-for-5 with a two-run homerun of his own. Danny Duffy went 7 1/3 innings, allowing just one run while striking out seven to move to 2-0. Brandon Maurer pitched the final 1 2/3 innings, and cruised after allowing a homerun to JaCoby Jones, retiring five in a row. Six Royals collected at least two hits, with Mike Moustakas going 3-for-4 and walking once. Only Mikie Mahtook had more than one hit for the Tigers, who fall to 1-4. The winning streak to open the 2018 campaign was finally snapped with a 4-2 loss to complete the three-game set. Jose Iglesias was a tough out for Detroit, going 4-for-4 with an RBI in the first inning. Mikie Mahtook also collected an RBI single in the first to stake the Tigers to an early 2-0 lead against Jason Hammel. Hammel went the distance in the loss, allowing four earned runs in eight innings, surrendering ten hits while walking two with just one strikeout. Nick Castellanos and Leonys Martin added RBI hits in the sixth inning before the Royals came back with single tallies in the seventh and eighth. Alcides Escobar didn't hit a homerun, but added to his team and AL-leading RBI total with an RBI two-bagger in the eighth, giving him ten on the season. Detroit's Michael Fulmer evened his record at 1-1 with the victory, allowing nine hits and a walk in six innings with three punchouts. Shane Greene picked up the save with a scoreless ninth inning. Last edited by artoodeetoo; 06-27-2018 at 06:39 PM. BTW, this thread is best read in Chrome. Most of you might have it anyway, but just an FYI.